More than 60 Lake Quassapaug area residents attended a presentation on the lake’s water quality in January 2012 by representatives from the State Agricultural Experimentation Center. The consensus at the meeting was to establish a Lake Quassapaug Association to ensure continuation of the high water quality and address issues, such as invasive weeds, affecting the lake. Connecticut’s Department of Energy and Environmental Protection has strongly encouraged the establishment of a Lake Quassapaug Association with which the state can negotiate permits for remediation or other issues. After the January meeting , three committees were formed: Governance, Dam , Plants and Invasives which all met and made recommendations during 2012. The Governance Committee adopted proposed mission and by-laws for a Lake Quassapaug Association which were presented at an open meeting in October 2012. Based on the comments at this meeting, the By-laws were revised to ensure representation on the Board of Directors from individual homeowners, homeowner associations, clubs around the lake, Quassy Amusement Park and the Town of Middlebury. The Governance Committee applied to the State of Connecticut for incorporation as a nonprofit organization, and an initial 16 member Board of Directors was selected which met for the first time on January 8, 2013. We are indebted to two organizations: Friends of Lake Quassapaug and the Lake Quassapaug Sportsmens Club for their work in the 1980s to preserve the quality of Lake Quassapaug after concerns were raised about the growth of algae in the lake. 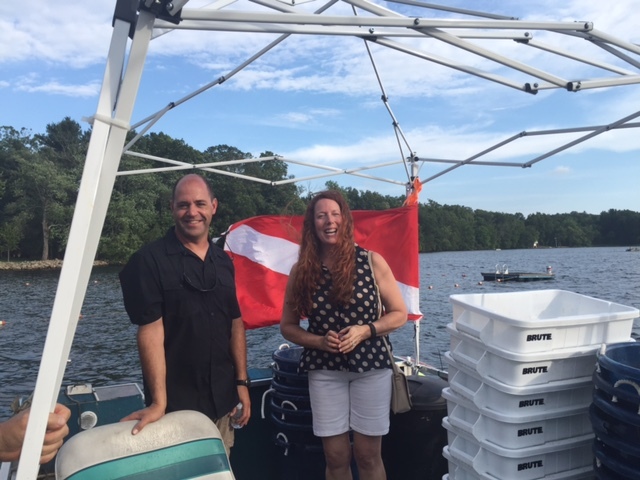 Friends of Lake Quassapaug raised funds and hired Ecosystem Management to complete a study of the lake water quality, fisheries and invasive weeds. Growth in algae is a sign of increased phosphorus and/or decreased zooplankton that eat the algae. The 1980s study determined that the State of Connecticut’s decision in the 1960s to stock Lake Quassapaug with 600 alewives in order to provide food for trout had unintended negative consequences. Over the years, the alewives had multiplied by the thousands and depleted the zooplankton, their primary food, in the lake resulting in more algae blooms and “green water” particularly in August. The Lake Quassapaug Sportsmens Club stepped in and agreed to substantially increase the annual stocking of trout to reduce the alewife population. 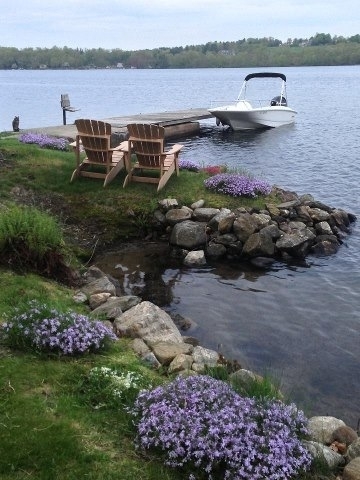 The result has been a significant reduction in algae, improved water clarity and an excellent water quality rating by the State of Connecticut for the lake in 2011.